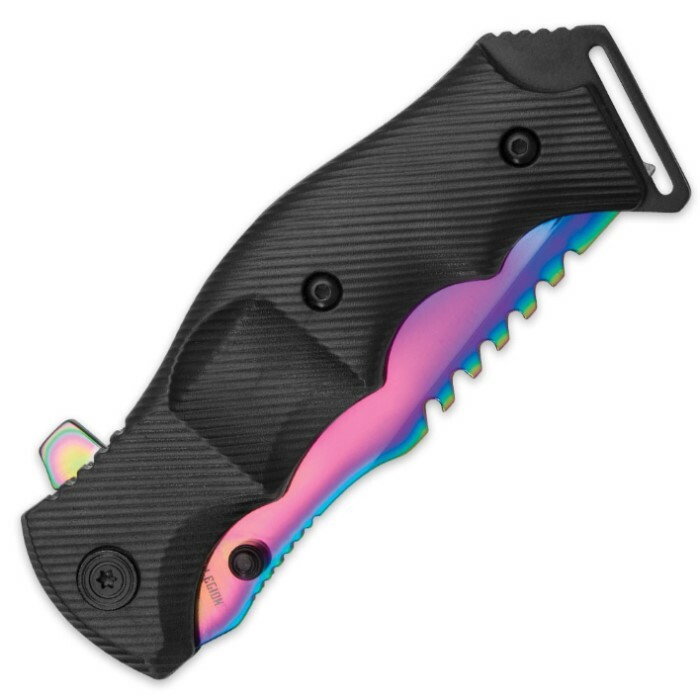 Black Legion introduces its Huntsman Pocket Knife, which features a striking rainbow titanium coated blade. 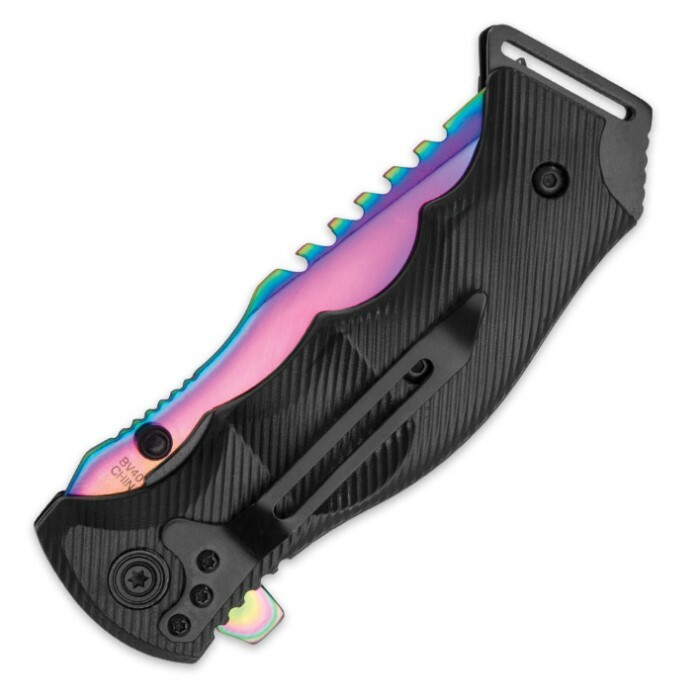 The 4” stainless steel blade has aggressive back serrations and the blade can be quickly accessed with the assisted opening mechanism. The ABS textured handle gives you a secure grip and the metal pocket clip lets you carry the razor sharp pocket knife anywhere. You can always count on Black Legion to take an idea and take it up another notch! 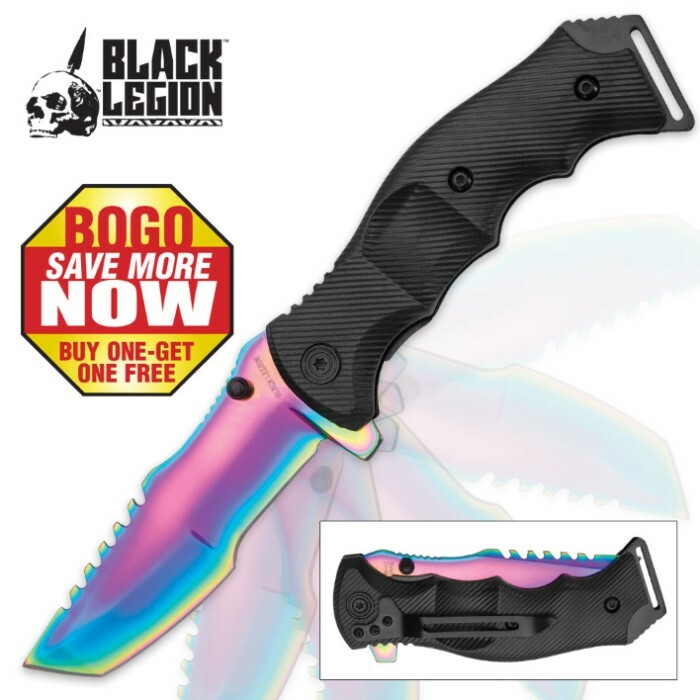 You get the power of a fixed blade and the convenience of a pocket knife!